For many of us, Chianti is our gateway to Italian wine. This dry red has long been the poster child for Italy’s wine country and expresses Tuscany’s magnificent rolling hillsides, picturesque towns dappled in sunlight, and enchanting architecture. Chianti is the beating heart of Tuscan winemaking. While some of Tuscany’s DOCGs are perhaps more prestigious, Chianti has a wider reach; if you’re a wine drinker, it’s a safe bet you’ve tried a Chianti or two at some point. The region boasts several subzones, each of which has unique terroirs which provide the wines with their individual characteristics. It’s no wonder Chianti remains one of the most popular Italian wines amongst oenophiles the world over. Sangiovese (from the Latin ‘blood of Jove’) forms the backbone of Chianti; for Chianti and its subzones, Sangiovese must make up at least 70 percent of a blend, with up to 100 percent allowed. Prior to 1996, the amount of Sangiovese allowed in Chianti blends was limited to a maximum of 70 percent – this was one of the limitations that inspired winemakers in the region to ditch the DOCG and led to the rise of the Super Tuscans (although it is important to note that Super Tuscans aren’t limited to Chianti and its subregions). Today, thanks to the 1996 revision, winemakers are allowed to make Chianti from 100 percent Sangiovese, and may use Cabernet Sauvignon, Cabernet Franc, Merlot, and traditional grapes like Colorino and Caniolo if they choose to blend. In the past, white grapes were a common part of the Chianti recipe, but this practice has fallen by the wayside and in the separate Chianti Classico DOCG, has been barred. Sangiovese is a thin-skinned red grape with high acidity and tannins which make it a great partner for food and lend to Sangiovese-based wines’ ability to age. Some of the classic aromas and flavors for Sangiovese are sour cherries, intermingled with balsamic vinegar, savory dried herbs, sweet tobacco, and leather. And yes, it tastes just as heavenly as it sounds. The overarching climate of Tuscany is Mediterranean, with a maritime influence from the nearby Tyrhennian Sea. 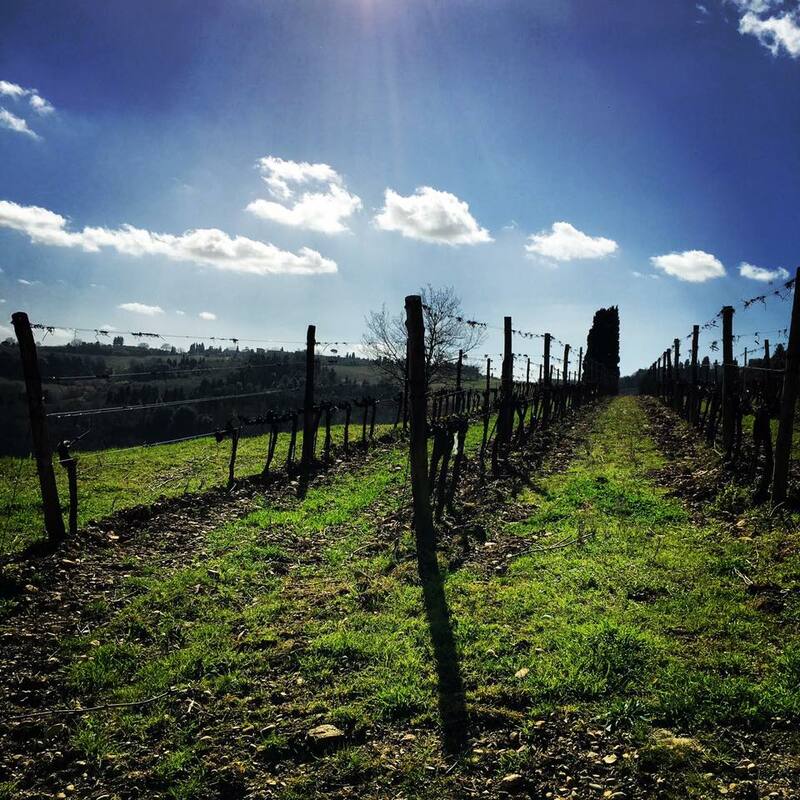 You’ll encounter two main soil types in Chianti, galestro, a clay-marl, and albarese, a sandstone. There are also patches of sandstone and tufa in the region and this patchwork of soil types is found across Chianti’s hillsides. As a hilly region, vineyards are positioned at different altitudes, which helps concentrate flavors in the grapes and lends to Chianti’s richly perfumed wines. 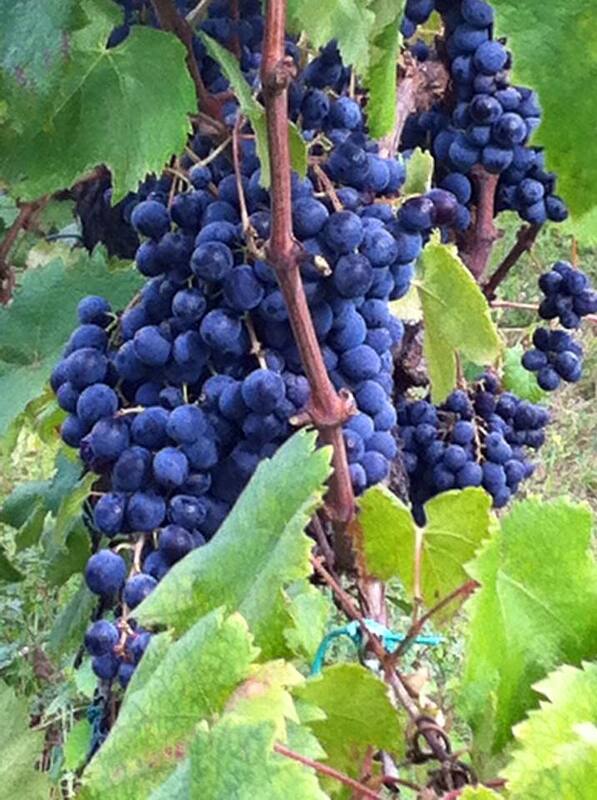 Each can be produced as rosso normale,superiore, and riserva. Like the subzones, these categories have varying aging requirements and minimum alcohol levels. Eligible producers put the appropriate subzone designation on their wine labels to distinguish them from basic Chianti. Colli Aretini sits just outside the city of Arezzo. The river Arno winds its way through hilly Arezzo and helps to moderate the temperature here. As a result, the wines here are often lighter in body, with delicate, perfumed aromas of fresh fruit and flowers and bright acidity. 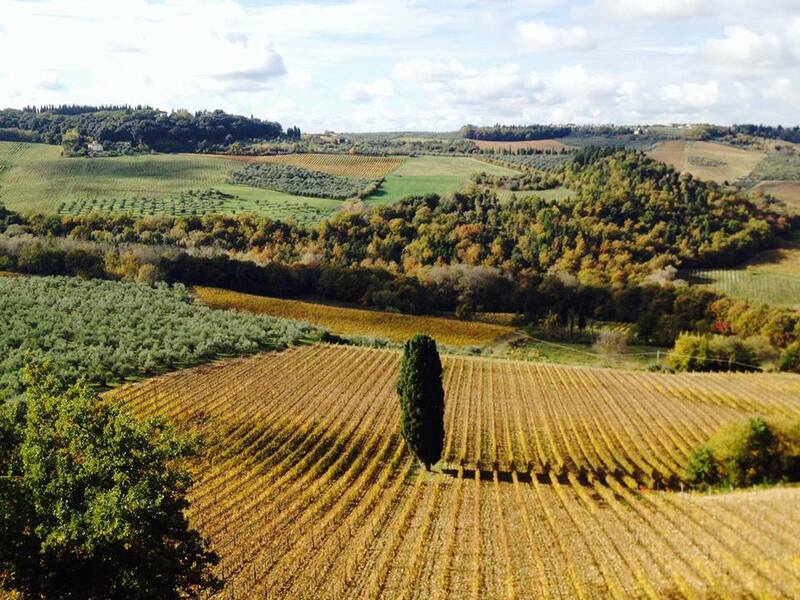 Located in the hilly areas bordering Florence, Colli Fiorentini offers classic Chianti for everyday enjoyment. Sunny days are mitigated by cooler evenings, allowing the grapes to get perfectly ripe while maintaining the acid levels requisite for well-balanced wine. 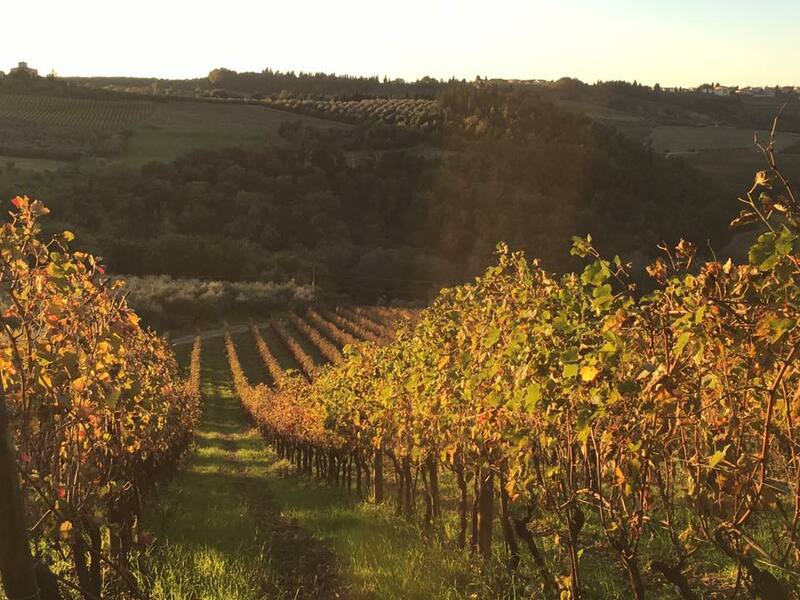 Colli Fiorentini has plenty of limestone pockets which offer good drainage in the vineyard when the rain comes andexcellent water retaining properties when the weather is on the dry side. Colli Senesi overlaps parts of other illustrious DOCGs like Vino Nobile di Montepulciano, Montalcino (of Brunello fame), Chianti Classico, and the site of Tuscany’s only white wine DOCG, Vernaccia di San Gimignano. 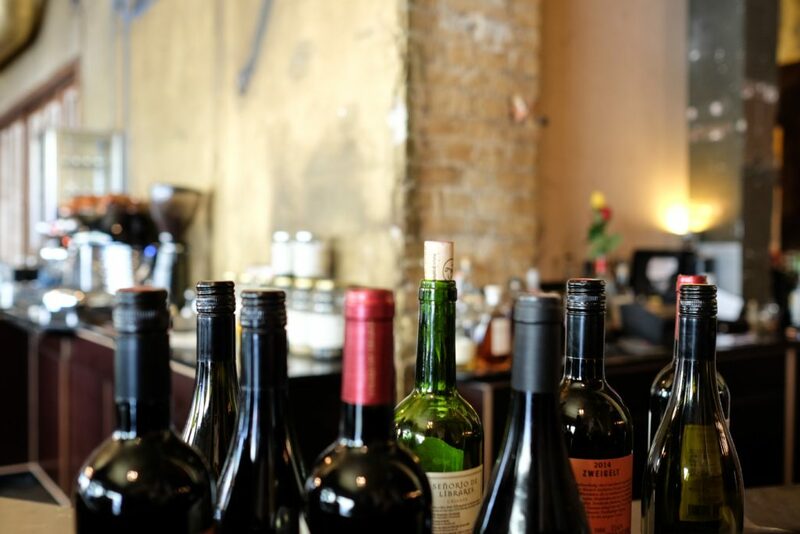 Due to the fact the best sites are dedicated the highly acclaimed (and more sought-after) Brunello di Montalcino and Vino Nobile di Montepulciano, wines made under the Colli Senesi designation tend to be a little more rustic with a pleasant fruitiness. One thing to note is that unlike the other subzones, Chianti Colli Sensei requires a minimum of 75 percent Sangiovese in its blends. Chianti’s westernmost subregion lies just to the southwest of Pisa and its iconic leaning tower. As it’s located along Chianti’s western fringes, Colline Pisane receives the full benefit of cooling sea breezes coming off the Tyrhennian Sea. Compared with the other subzones, the wines of Colline Pisane are light but full of fresh red fruit and violet aromas and flavors and can be more tannic in their youth. Fresh and fruity, Chianti Montalbano is light, in part thanks to its sandstone-based soils. Because they’re often lighter, Montalbano wines are good to drink in their youth, which is excellent news if you prefer not to wait a few years to enjoy your wine (we don’t blame you). Chianti Montespertoli is small but mighty. Although it’s the newest, smallest Chianti subzone, the unique terroir and the wines it yields justify the reasons behind its elevation to subzone status in the first place. Take the region’s limestone soils and hilly topography and you get the building blocks for great viticulture. Sangiovese ripens perfectly here and the grapes tend to be especially fruity compared with their counterparts found in the other subzones. Across the board, Rufina consistently puts out the best wines out of all Chianti’s subzones. The climate here leans towards being continental, with warmer daytime temperatures mitigated by cooler evenings. Rufina’s many hillsides also provide vineyard sites with higher altitudes, increasing the sun’s intensity which gives rises to more concentrated grapes. Despite its wide renown, Rufina is one of the smaller Chianti regions. It lies to the east of Florence. Compared with the likes of Chianti Classico, Rufina’s wines boast finesse and fruitiness, with bracing acidity that makes it a brilliant choice to drink with dinner. Although technically Chianti Classico is separate DOCG, we’d be remiss not to touch upon it at least briefly. Instantly recognizable by the gallo neroor black rooster logo, Chianti Classico represents the oldest parts of Chianti. In 1716, the Grand Duke of Tuscany, Cosimo III de’ Medici, demarcated the boundaries of Chianti to include Greve in Chianti, Gaiole in Chianti, Castellina in Chianti, and Radda in Chianti. Today, these form the heart of the Classico region. The Classico region bumps up minimum Sangiovese in the blend to 80 percent and as with the Chianti DOCG, 100 percent Sangiovese wines are allowed. 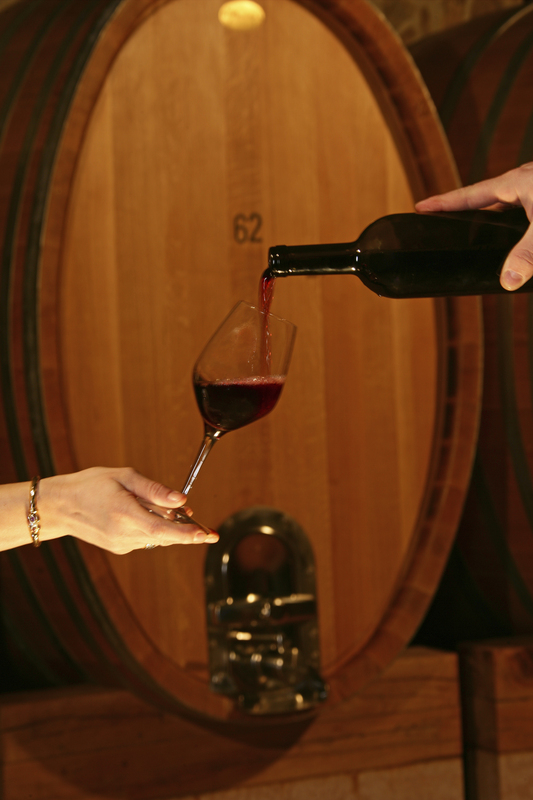 Chianti Classico is widely considered the best of Chianti – the most concentrated in flavor, complex, and long-lived. There are three tiers to Chianti Classico’s quality pyramid: annata, riserva, and gran selezione. Chianti Classico Riserva is aged for a minimum of 24 months while Gran Selezione sees at least 30 months of aging. 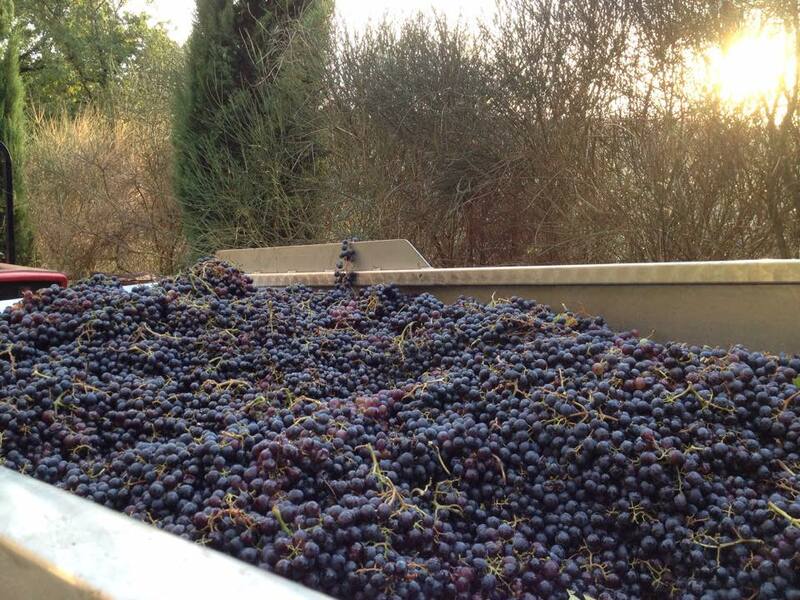 Gran Selezione may only be made from grapes harvested from a single vineyard or selected from the winery’s best fruit. The category was introduced back in 2013. As a high acid, high tannin red, Chianti is destined for rich, fatty dishes. That same high acidity also means it complements acidic dishes or put another way, anything with tomato sauce. Chianti is a brilliant pizza wine, especially if you’re a meat lover. Enjoy a glass of Chianti with a hearty beef lasagne or pasta slathered in a rich tomato sauce, (we recommend a decadent beef ragù or sugo), and your taste buds will be thanking you. Not surprisingly, Chianti is outstanding with local Tuscan cuisine like pappardelle al Cinghiale (wild boar), bistecca alla Fiorentina (basically a T-bone steak), not to mention local cured meats like Finocchiona Toscana, Lardo di Colonnata, and Prosciutto del Casentino. Il Balzo – Chianti Rufina– dark, deep fruit flavors meld with notes of coffee and a bright minerals. With plenty of tannins, this makes a great match for beef or veal. Camille grew up not far from the heart of California’s wine country. 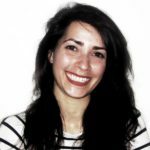 She started off in the wine world as a sommelier before deciding to combine her passion for the written word with her love of fermented grape juice. She now lives in the UK where she continues to consult, teach, and write about wine and spirits.